The gap between Alberta’s United Conservatives and New Democrats might be closing by inches, but Rachel Notley needs the polls to move by miles in order to have a good shot at re-election on Apr. 16. That isn’t happening — and the first post-debate polls indicate that last week’s verbal sparring is unlikely to move the dial in a big way. The CBC’s Alberta Poll Tracker suggests that the UCP continues to hold a wide lead over the NDP and would secure a healthy majority government if the election were held today. The latest aggregate of the polls puts the UCP at 51 per cent support, with the NDP trailing at length with 35.9 per cent. The Alberta Party, with 6.9 per cent, and the Liberals, at 2.2 per cent, have yet to make their mark on the provincial election campaign. There hasn’t been much net movement at all in the Alberta Poll Tracker since the campaign began. Compared to the Mar. 22 update — which included all of the polling conducted and published when the writ was dropped — the UCP is down just 0.5 percentage points. The NDP is up 1.1 points. While that narrows the gap slightly, it isn’t the kind of gain the New Democrats need to see to put the result of next week’s vote in serious doubt. The Alberta Poll Tracker estimates the UCP would win between 59 and 74 seats with this level of support, putting the party clear of the 44-seat threshold required for a majority government. The NDP is projected to win between 13 and 27 seats, while the Alberta Party is in the running for one seat. If there was an opening for Notley to create a turning point in the campaign, it was last week’s leaders debate. But two polls suggest that didn’t happen for the NDP leader. Polls by Forum Research and Mainstreet Research found that Kenney was seen as the debate winner over Notley by a margin of 18 and 11 points, respectively. That edge was about the same as the advantage the two polls gave the UCP over the NDP, indicating that the debate is unlikely to have an impact on voting intentions. If Notley had over-performed her own party’s polling, it would have been a hint that the NDP might be about to get a bump. Similarly, the numbers don’t suggest that Kenney should expect much of a surge as a result of the debate. But with double-digit leads provincewide for his UCP in both of these polls, a boost is not something that Kenney needs right now. Alberta Party Leader Stephen Mandel scored about even with his own party’s support, while Liberal Leader David Khan was picked as the winner by five to six per cent of respondents — better than the one to two per cent support his party registered in these polls. That could be a good sign for Khan, whose name recognition was significantly higher in Mainstreet’s latest poll than in the one conducted at the outset of the campaign. But the provincewide figures don’t tell the story here. It’s in the regional breakdowns that we see just how hard it would be for the NDP to win this. The New Democrats are still leading in Edmonton, with 44.6 per cent support to 42.5 per cent in the Alberta Poll Tracker. That’s virtually unchanged from where things stood on Mar. 22, but the close margin is influenced in large part by the Forum poll. It gives the UCP a 12-point lead in Edmonton, while a Léger poll (conducted just before the debate) and a Mainstreet poll put the NDP about 10 points ahead in the city. The key results are in Calgary, however. The NDP has closed the gap there by about 5.5 points since the beginning of the campaign, but it still trails with 36.9 per cent to 49.2 per cent for the UCP. That makes the NDP competitive in between three and nine seats in Calgary, but the UCP’s edge in 19 to 26 seats is what makes the difference. There is no polling disagreement in this decisive battleground. Léger and Mainstreet give the UCP an 11-point edge, while Forum gives the UCP a lead of 16 points in the city. In either scenario, the New Democrats simply wouldn’t win enough seats to form another majority government. Outside of the two big cities, the UCP is ahead with 60.3 per cent support to 27 per cent for the NDP. That gives them a stranglehold on 29 to 31 seats — meaning they don’t need to win many more in either Edmonton or Calgary to put them over the 44-seat threshold. The polling numbers look grim for Notley with just one week left in the campaign. But there’s reason to suggest that they could get better between now and Apr. 16. Mainstreet shows relatively flat trend lines for both Notley and the NDP since its Mar. 19 poll — but the marginal movement it has recorded since then is still positive. Léger has found more gains for the New Democrats, particularly on the Notley vs. Kenney match-up. Its Mar. 12 poll found the two leaders nearly tied on the question of who Albertans preferred as premier, with Notley ahead by a single point. In its latest sounding, Notley is ahead of Kenney by six points. The two surveys suggest the NDP is shoring up its position in Edmonton, which would help the party retain a sizeable caucus from the capital. They don’t agree on a similarly positive trend line in Calgary, which is where the NDP needs to see improvement to really compete. 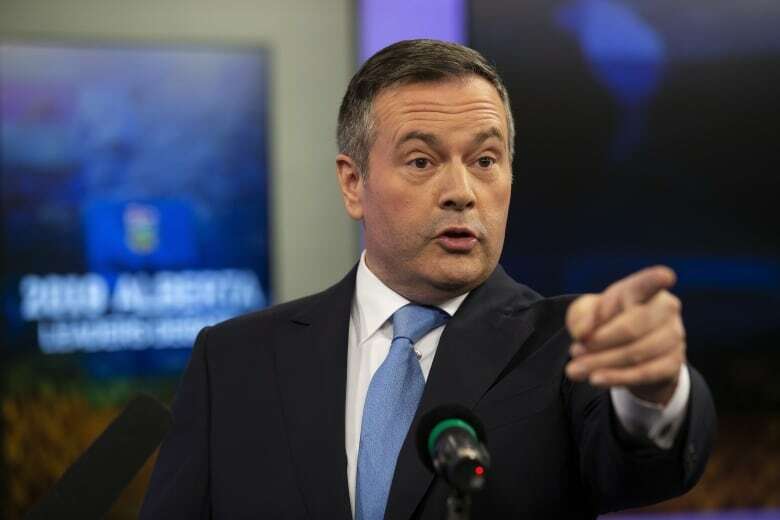 After three weeks on the campaign trail, Kenney and the United Conservatives have withstood the NDP’s attacks and remain on track to win power, their support largely unscathed. If the New Democrats were in a position to pull off another upset, they would expect to see more signs of momentum by now. It’s not over — but for Notley, time is quickly running out. Amber Alert issued for girl, 5, allegedly abducted by father from Markham, Ont.